So recently I've began to paint my nails more (I used to be obsessed with painting my nails and the addiction slowly died out.. it seems it's coming back). 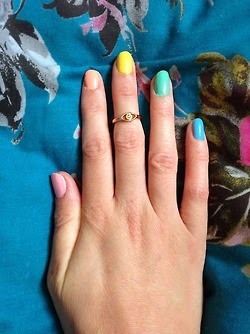 This week I decided to experiment with rainbow, pastel colour nails which seemed perfect for the summer season (although the raindrops hitting my window doesn't quite say summer, it's still July). 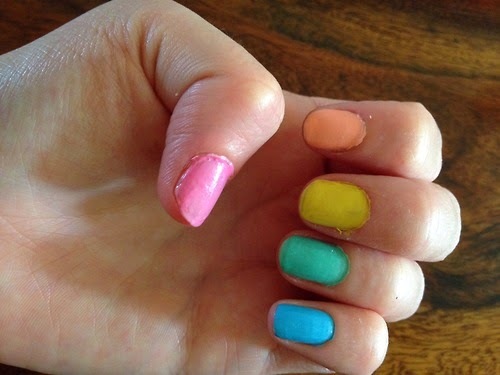 I felt this nail look was definitely a bit more exciting, and such a simple way to make nails a more interesting feature. I have also received a fair few compliments on my nail like this which is always nice! 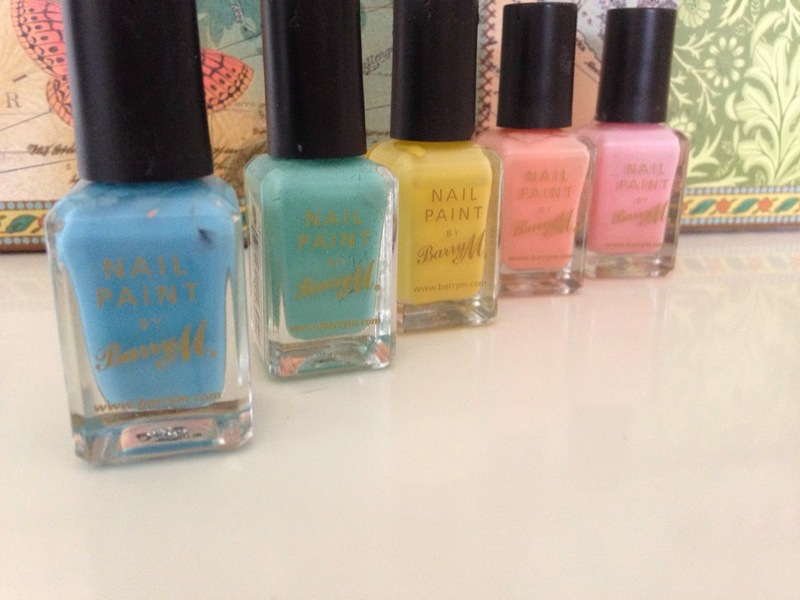 All the colours used for this nail look are from Barry M, as I've said before I am a big fan of Barry M nail polish (when I went through my phase of being obsessed with painting my nails, Barry M nail polish came alongside this. 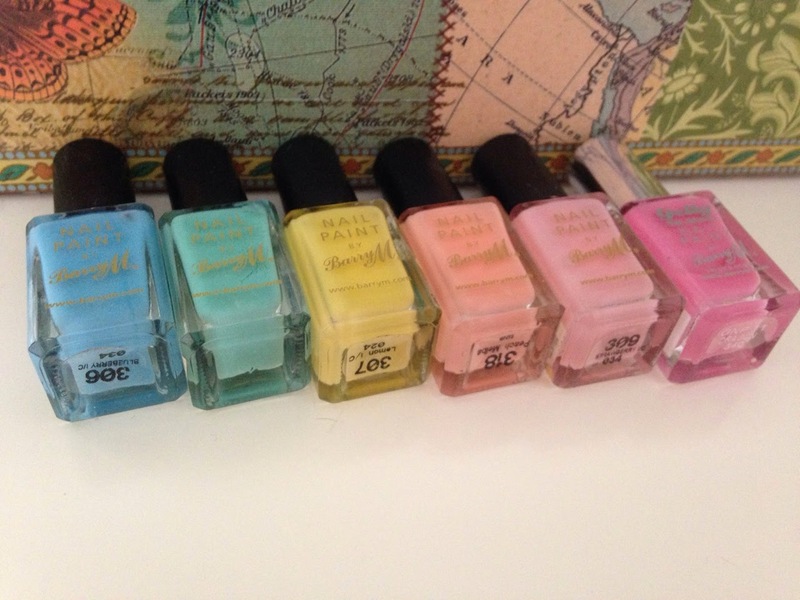 At one point I owned every nail polish they sold, crazy! 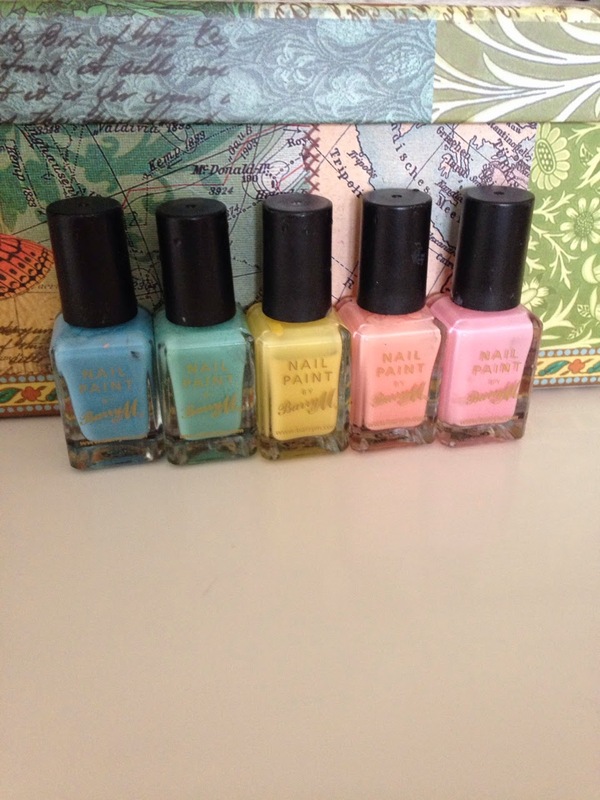 ), anyway they are affordable, long lasting and have a good range of colours to choose from. Please excuse my bad nail painting, I know I'm not the best at it. 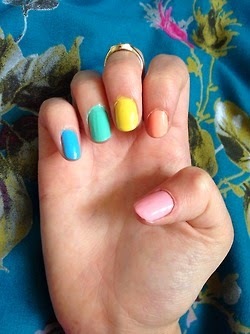 How you are being creative with your nails this summer?